She's making a big decision. Amanda finished 3rd in her age group! Nancy 1st in her age group! Don't Run Unless You're a "Purist"
Like the song goes — "I Feel Good!" Like the song goes - "I feel good!" downtown jacksonville. midway to 26.gulp! Never to early for ale. A pair that every pirate winch would love. Mrs Powell. She's a big part of the glue! 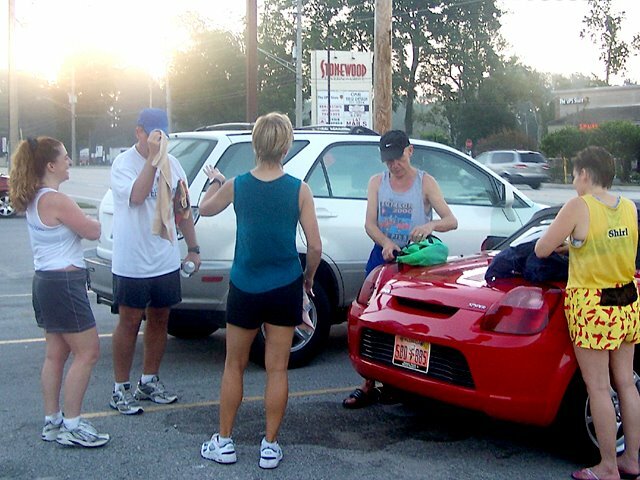 prerun group Gina, Steve, Kim N, Kim G and ?? Who put this hill here at mile eleven?